Interior design inspiration can come from a myriad of sources: a trip to Marrakech, a hike in the woods, a breathtaking sunset, or a sleek city skyline. Designers often begin their process with a muse. 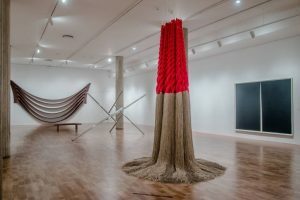 They seek a catalyst that informs creative decisions, including everything from textiles and color palettes to furniture styles. Photo on left: visitmilwaukee.org Photo above: Windhover Hall’s magnificent 90-foot-high glass ceiling. 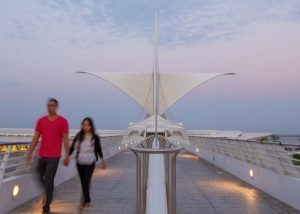 Image courtesy of Milwaukee Art Museum. This summer, we’re exploring our own backyard for design inspiration. We’re excited to share what we find with our amazing clients and friends! Tell us about your favorite places in Milwaukee and maybe your pick will be our next adventure. Join in the fun by using #ExploreMKE2017 when posting photos of your summer escapades! 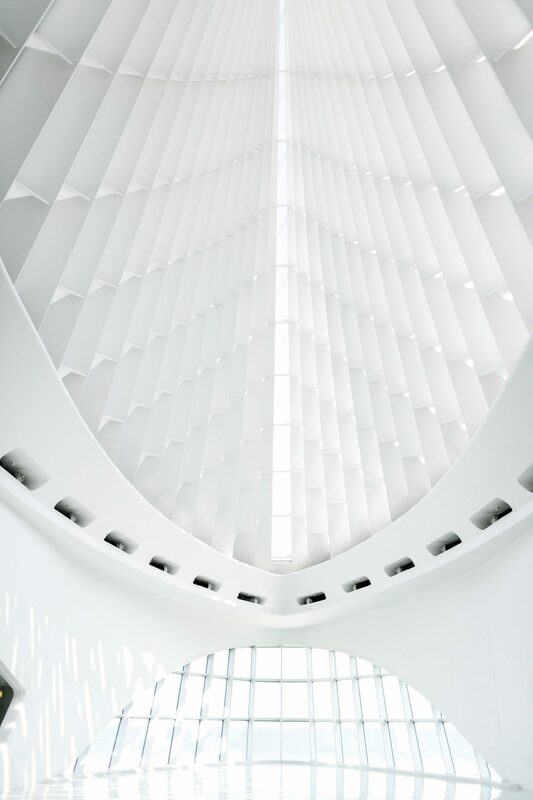 Our first stop has design inspiration in spades: the Milwaukee Art Museum, a stunning Wisconsin landmark. 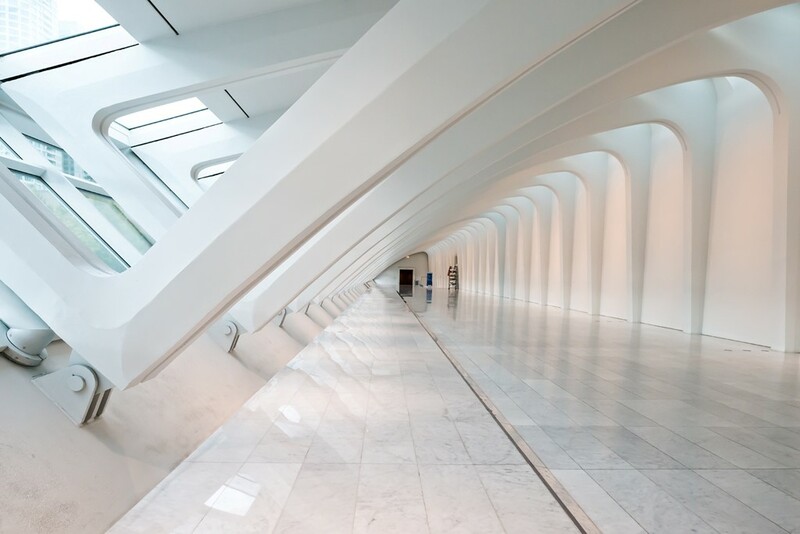 Spanish architect Santiago Calatrava created a magnificent cathedral-like space with a vaulted 90-foot high glass ceiling. The architecture alone inspires, with its graceful lines and sculptural details – not to mention all of the gems inside. 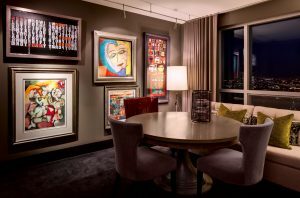 The interior corridors are filled with artistic treasures to spark even more imagination. Keep reading to see the design ideas influenced by our trip! Alluring arches welcome visitors to the MAM corridor. Image courtesy of DISD Interior Design Blog. 1. Furniture with architectural finesse contributes a touch of drama to any space. 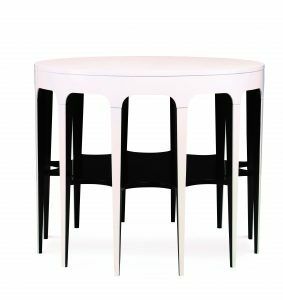 Add dramatic detail with a dynamically designed table or chair. Available by special order in a variety of finishes through Haven Interiors, Ltd. 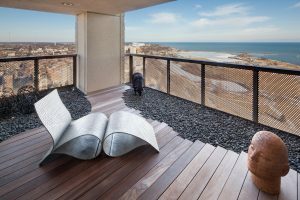 Create a truly zen view of Lake Michigan with sculptural lounge pieces, or make a striking statement with a curvaceous chair. Art Collector’s Home, designed by Haven Interiors, Ltd. Photography by David Bader. Photo on top left courtesy of: Front Room Photo. 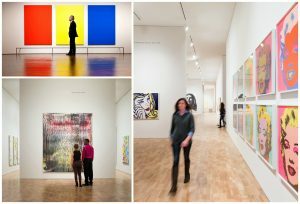 Photo on bottom left and right courtesy of: Milwaukee Art Museum. 2. Blocks of color can be fun. Balance punches of color with a neutral background. 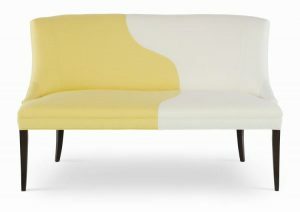 Create a color block look with an unconventional upholstery treatment. 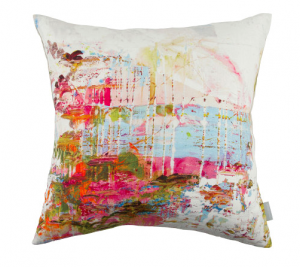 Contemporary abstract works of art by Jessica Zoob, are screen printed on linen and velvet throw pillows. Available to order through Haven Interiors, Ltd.
An art gallery wall creates colorful allure in an otherwise monochromatic space. Contemporary by Design, designed by Haven Interiors, Ltd. Photography by David Bader. 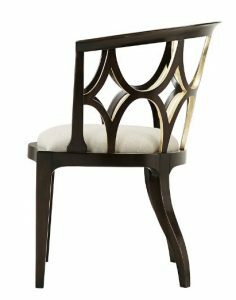 One arresting, vibrant chair adds distinction to an elegant living space. 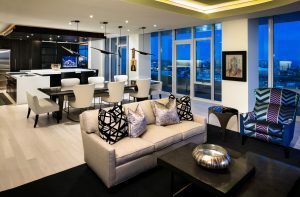 Condo With a View, designed by Haven Interiors, Ltd. Photography by David Bader. 3. Sculptural elements make a stunning statement. Illuminate your space with a fanciful or geometric chandelier at center stage. Lighting can affect a room in so many ways. Make a style statement with a red-hot geometric edge. Add swagger with this waterfall-like chandelier, created with tiny beaded chains. 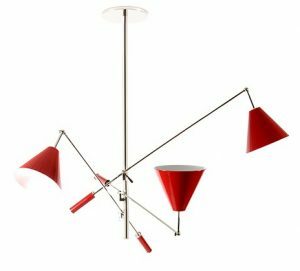 All lighting available for order through Haven Interiors, Ltd. 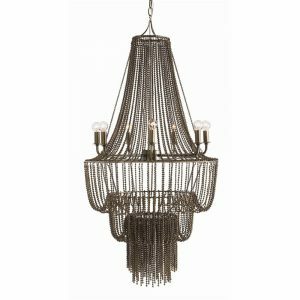 This extraordinary chandelier adds instant drama to a dressing area. Art Collector’s Home, designed by Haven Interiors, Ltd. Photography by David Bader. A stunning sphere of light bejewels this modern space and a bold orange door creates a bit of added drama. Contemporary by Design, designed by Haven Interiors, Ltd. Photography by David Bader. 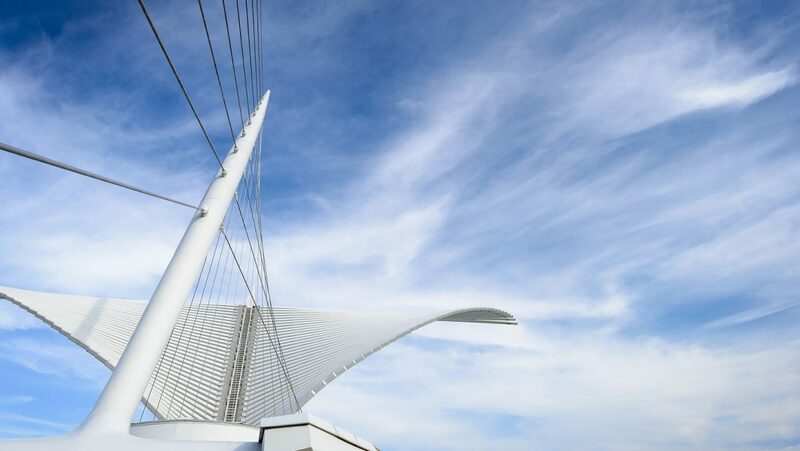 Whether you are inspired by architectural curves, vibrant color or sculptural shapes, the Milwaukee Art Museum is a mecca. Tell us what inspires you most and your favorite places to explore in the Midwest. Don’t forget, post your photos using #ExploreMKE2017 to join in Haven’s summer fun.